May 31st. It marks the end of May, and it also observes World No Tobacco Day. There are many risks associated with tobacco use, and this day aims to highlight not only the threat it poses to one’s health, but also the effective strategies to limit tobacco consumption. Cancer – More likely in the lung, mouth, larynx, bladder, kidney, etc. Not to mention, much of your free time will be spent in doctor’s offices treating these conditions as a result of use. R-Health is always there for you when you need us to be, but having more healthy, free time…priceless. As we know, there are different ways to tackle tobacco cravings. 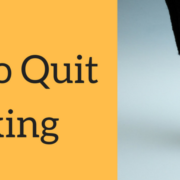 Previous posts confronted the idea of ways to commit yourself while on this journey to quit. For example, find a reason, develop a plan, and sticking with your plan to name a few. However, we’ll discuss a few ways to resist these cravings, courtesy of the Mayo Clinic. Nicotine replacement therapy – These replacement therapies can help overcome intense cravings. They are also safe to use in combination with nicotine patches. Delay – If you’re feeling like you’re going to give into a tobacco craving, delay yourself. Tell yourself to wait 10 minutes, and in that time, distract yourself with something else. Chew on it – Give your mouth something to do whilst fighting the tobacco urge. Sugarless gum, hard candies, sunflower seeds, or even raw carrots. Don’t have ‘just one’ – It’s fool’s gold believing you can stop at just one early in the process. More often than not, one leads to another, and leads to another. Simply don’t engage. Get physical – Physical activity can not only distract you from cravings, but also lessen their intensity. Even short bursts of exercise like walking stairs or activities like painting, can help you with distraction. Practice relaxation techniques – Techniques such as yoga, massage, deep breathing exercises, and even calming music can have positive effects on your stress levels, which reduces your need to use. Go online for support – Join a stop-smoking program or read blog posts with positive thoughts reinforcing your will to quit. Remind yourself of the benefits – Ending your tobacco use not only will aid in you feeling better, being healthier, and saving money, but it also helps the environment around you. 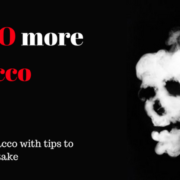 There are countless techniques you can use to gradually be tobacco free. On this World’s No Tobacco Day, if nothing else, if interested in quitting smoking, or use of any tobacco products, please make that call to your R-Health doctor so they can not only share some helpful tips, but also serve as support during this process.